With May right around the corner, it’s time to start thinking of Cinco de Mayo. 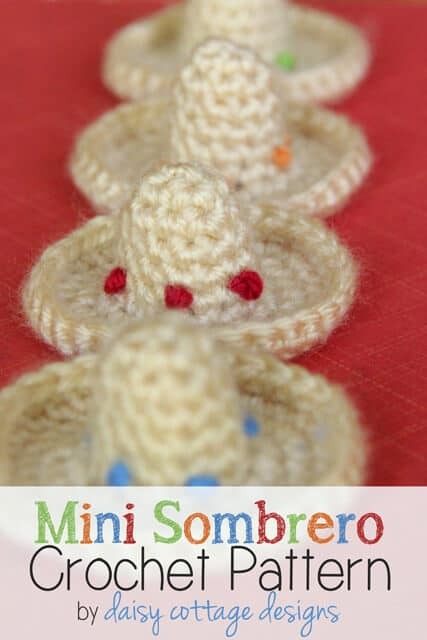 In honor of the holiday, I’ve got a little crochet pattern for you: adorable mini sombreros. 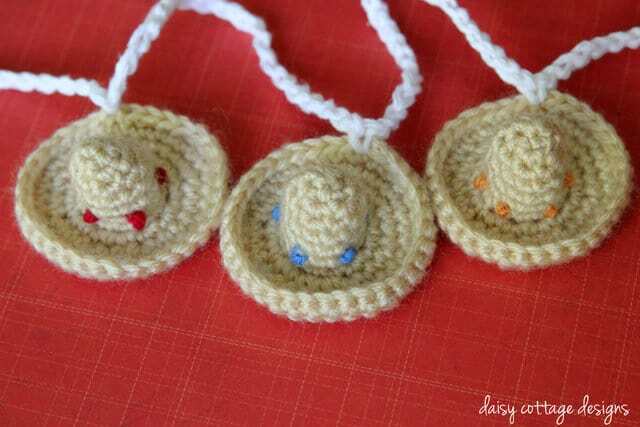 Attach them to a key chain, strap them onto your chihuahua (yes, I’ve gotten pictures from DCD fans who have done this), string them on a bunting, or use them as table decorations at your next fiesta. If you’re having a party tonight and don’t have table decorations yet, you’ve still got plenty of time – these little cuties are super quick. tiny amounts of contrasting yarn in red, blue and green. You’ll be working in spiral. There are no slip stitches or chains at the ends of the rounds. You may want to mark the first stitch of each round as you go. It’s easy to lose your spot on such a little pattern. Using colorful yarn and a tapestry needle, make French knots around the hat. If you’re not sure how to make French notes, here’s a tutorial. I LOVE these. My sister is getting married in August to the wonderful Ruben who is from Mexico. 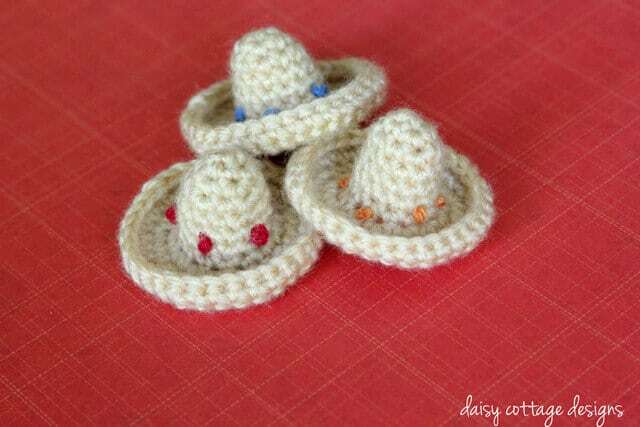 I&#39;m going to think of a way to incorporate these adorable little hats into the decorations. thank you. Thank you. I was able to print out the pattern. Such a cute pattern. Just cute,pretty good gift,easy and clear instructions.Mine is navy blue and yellow.Wow!Thanks! I wonder if these would fit a small guinea pig? Hmmmm!